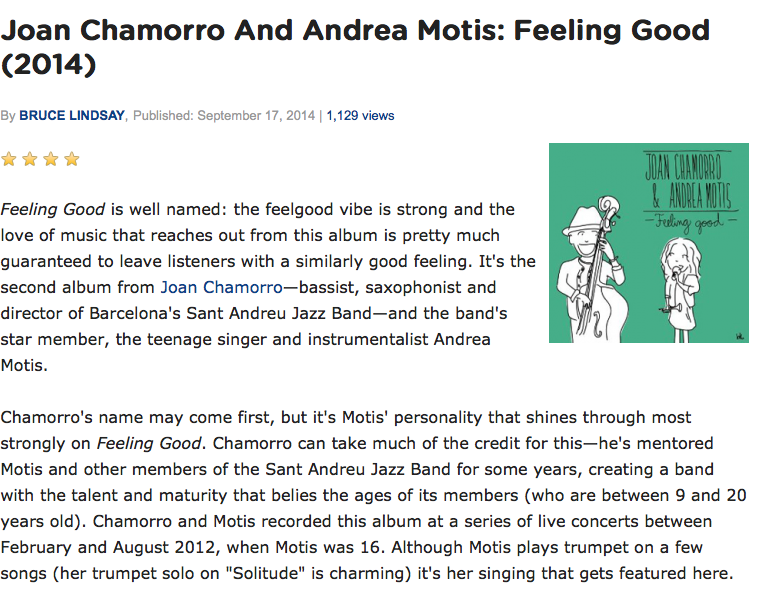 Bruce Lindsay recommends Andrea Motis & Joan Chamorro's album Feeling Good in All About Jazz. Feeling Good is well named: the feelgood vibe is strong and the love of music that reaches out from this album is pretty much guaranteed to leave listeners with a similarly good feeling. It's the second album from Joan Chamorro-bassist, saxophonist and director of Barcelona's Sant Andreu Jazz Band-and the band's star member, the teenage singer and instrumentalist Andrea Motis. Learn more here.